Wife (now a bit suspicious with the confidence in my voice) : Is this real !?!? Can we actually visit and stand like the scene in movie. Dudhsagar literally means ocean of milk. Dudhsagar Waterfall Trek is one of Goa’s most attractive and ideal picnic spots mainly offering charismatic natural beauty and amazing scenery when in full flow after the monsoons. The waterfall initially appears like streams of milk flowing down the mountain which later culminate into gushing cascades after they come in full view of the awestruck visitors. The falls can be reached via Kulem Railway Station. The alternate way of reaching the falls is only advisable between October to May, when the level of the water in the rivers abates enough to permit approach the base of the falls. 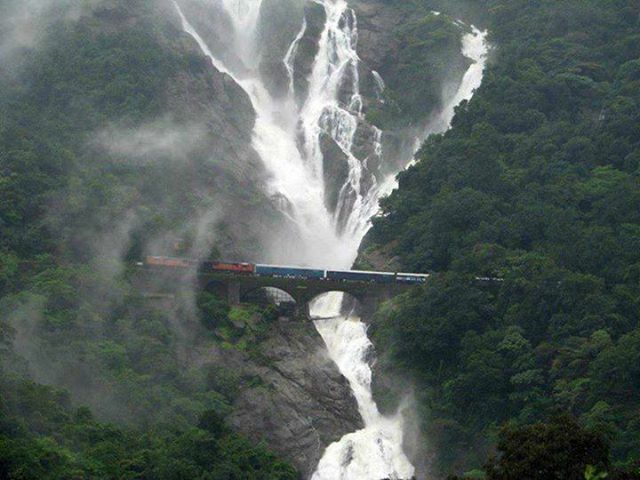 Dudhsagar Falls is listed as India’s fifth tallest waterfall and is 227th in the world at 310 m.
The famous photograph of Trains passing through before the waterfalls can be seen in this route and also the complete stretch of the falls is visible while hiking towards the waterfalls. With that in mind, we started to make plans for this trek. As it was our first time exploring this place, we took services of an awesome group - Trek Mates India. Our guide Mr. Manoj Kalwar (who later started his own group - Travel Trikon) was extremely knowledgeable and fun person. We caught the Goa Express from Pune station along with the rest of the group and commenced our journey. The entire trip was enjoyable with people playing Dum Sharaz - The movie guessing game. The game was an ice breaker and we made good friends along the way. We dozed off to sleep at approx. 10 PM after having packed dinner. At approx 2.30 AM we were woken up with our guides informing us that the Dudhsagar falls was nearby and we need to get down. 'Wait what ? From a moving train' I asked. The train takes a minute of technical stop just before Dudhsagar falls bridge and that is when everyone is expected to get down. It should be noted that getting down at Dudhsagar is technically illegal and one could be jailed and fined for this. Just as planned the train slowed down for a technical stop.... everyone stood in line with backpacks for the quick get down. BUT HORROR STUCK THE CAMP !!! There were Railway Police patrolling the area for people getting down on that day. We all backtracked as the train again began to move along. 'This is it !?!? We are not going to be able to visit Dudhsagar' I thought. Luckily, our guides were knowledgeable and had idea of rail signals as well. The train chugged along for another 4 Km and then came to hal for 30 seconds. Everyone hurried out of train in those valuable seconds. After head count, it was decided to trek back the 4 kms towards the waterfalls along the rail track. The overall thrill of walking in dark with trains coming from opposite side was an experience in itself. Glowing light from far would indicate approaching train. We would stand on side of the tracks and let the train pass knowing any wrong step would be a death blow to us. The walk to the waterfall was long and tiresome. The rocks along the track used to hurt once in a while but the thought of Dudhsagar kept pushing us. Finally after an hour and half of walking, we got the first sight of the mighty falls at a distance. Excited we kept walking towards it and pretty soon were witness to an awe inspiring view. After an hour and half of admiring the falls we were told that there will be a 7 odd km Jungle trek towards the Kulem Station via Bhagwan Mahaweer Sanctuary. The trek was as exciting as the Dudhsagar waterfall itself. We managed to walk along the rail tracks, were bitten by leeches, crossed rivers, slipped but made new memories along the way. Finally we reached the Kulem station and after a short wait boarded on a return journey towards Pune. Dudhsagar- the waterfall from Goa introduced to us through movies but which helped us make our own short story. 'Do you know Ms X and Mr. Y (names inconsequential as she was trying to put across a different point altogether) from my Mumbai office ?!?' my wife Suchita asked me while having breakfast on one fine Sunday morning. 'Well... I am a history freak. But why go to UK for that ? There is a stone henge right here in Pune !!! And its not even broken unlike the European cousin ' I said. 'My husband has lost his mind' she thought inside. 'There is no way you can win this Mr. Pradhan. JM road is my forte with me shopping least once a month there. You are either playing a bluff or have lost your mind. Either way I am in for this bet' said Suchita. So there we were... in order to settle this small dispute driving down the road to reach the start of JM road. I stopped my vehicle in front of Jangli Maharaj Temple. 'For me to make this miracle happen I need to take blessings of the almighty' said I. 'Of course...say your prayers because your 1000 bucks are gone today' said her. After taking blessings of the almighty, we went to main corridor and sat for few minutes. 'Oh great !!!!' she said while pointing towards her wallet. We walked around for five minutes when we came across a few steps downwards. Besides was a board which mentions the history of a Protected Monument – PATALESWAR CAVE. A few meter walk inside and what we saw amazed us. 'Wha....' blurted an amazed Suchita.
' This is Pataleshwar caves...a likeness of Ellora and carved out of a single gigantic basalt rock mostly by Rashtrakuta dynasty in the 8th century. Though the claim is disputed and many believe it to be much much much older. Some people believe that the caves were in fact constructed by Buddhist monks and Hindus occupied it later. The temple is dedicated to Lord Pataleshwar and Lord Shiva.Inside are huge perfect cut pillars, a temple for Lord Shiva and a Nandi. Various figures are clearly visible on carvings along the wall which have eroded over time or destroyed in war of faiths. Some say the entire construction was halted midway as a fault line was identified in the rock. Some also speculate of a religious conflict or maybe a natural calamity which forced all the work to stop. Pataleshwar today stands in almost complete silence just as it must have when the work was stopped abruptly in it. It was late afternoon when we left the historic location with camera full of photos. And in my case a wallet heavier by additional 1000 Rs. 'Kings from Maharashtra were lazy' I announced one day. 'What why !?!?' sang my mother and my wife in unison. 'No exotic palaces, no gigantic forts, no step wells. Seems they lacked imagination' I continued. 'My dear child, do you know that most of the beautiful forts and palaces still preserved in good condition in India were because the local king decided to align with British East India Company rather than fighting for freedom ? That almost all forts built in Maharashtra were in constant state of war with invaders ?' explained my mother. 'Yes. And Maharashtra has always had good rainfalls. So I am sure that step wells were not a necessity for the locals then.' my wife Suchita joined in . It would have been waste of resources. Why would there be a step well in..... ' suddenly she stopped talking. I could see from her face that she was trying to recollect something. 'Unlesss....' she mumbled. Out came the smartphone. She typed in something and then smiled. 'Unless there is actually one step well in Maharashtra !!!!' She turned the screen towards me. So we left on our search of this little heard step well of Maharashtra. Entered the destination as - Baramotichi Vihir on the all knowing Google Maps. Baramotichi vihir is approximately 2 hours drive from Pune. History states that it was constructed between 1641 and 1646 by Virubhai Bhosale. This well was used to water the hundreds of different varieties of Mango trees which locals say were procured by Virubhai Bhosale. This well also served as secret meeting room. There were 12 pulleys (Baramoti) in operation hence the name. So after 2 hours of continuous drive, we came to a road which seemed to be going to a dead end. A bit anxious we tried to find people to ask direction but were not able to find any. Just as we were about to give up our search, we saw a signboard which signaled turning right towards Baramotichi Vihir. We got down out of our car unsure of anything in vicinity. From the ground level, nothing except the periphery of a well is visible. But as you move closer, a different picture comes up altogether. Wow !!! We thought. Tried googling the history but came up short. Luckily, we met a local person who lives right besides the well. He happily guides and explains the well to visitors for a small fees as low as 100 to 200 Rs. With a proper guide the beauty of the entire place comes alive. You get to know the history, the purpose of the well as well as some great photo places. Our guide explained that the well was used to water the hundreds of different varieties of Mango trees which locals say were procured by Virubhai Bhosale. This well also served as secret meeting room. The large door at the entry was meant to act as meeting space with villagers. The room on floor above was meant for secret meetings. It is 110 ft deep and 50 ft in diameter.The well is octagonal in shape and looks like dug-out Shivling. As the entire structure is hardly visible from ground level, it was very difficult for any possible attacking army to know the exact location of the place. There are some intricate carvings which present some great clicks. There are multiple exits from the chamber room for possible escape in case of attack. We took a look inside and found that the water still looked fresh. 'There are still 3 active springs in this well providing fresh water' our guide told us. Suchita meanwhile spotted some kids ready to take a dip and clicked one glorious pic. After an hour exploring, we paid and thanked our guide for this wonderful short tour. I was shocked. This was the exact answer to the rant I had put up earlier in the morning at my place. It was like a ghost of Bhosale's army had given me a reply. I looked up and expected Mr. Ravi to disappear in thin air. But instead he went to his cottage nearby and sat on his chair. 'Oh well... maybe next time I will have an end like some movie' I thought as I started my car for our return journey. 'Kailash mountain is astonishing. The resting place of Lord Shiva and supposedly cannot be climbed' I told Suchita my wife while watching a National Geographic series on Mount Kailash. Suchita had come to know my sudden bursts of history and mythology sessions and nodded along. I turned around to see Suchita already packing her camera and travel bag. Bhuleshwar is a Hindu temple of Shiva, situated around 45 kilometres from Pune and 10 km from Pune Solapur highway from Yawat. The temple is situated on a hill and was built in the 13th century. The temple is unique as its architecture is Islamic from outside and appears more as a mosque than a temple due to its resemblance of circular tomb and minarets. The reason for this unique design is said to be done to protect the temple from being destroyed by invaders. There are classical carvings on the walls. This is what Wikipedia tells us. After an hour and half of drive, we took a right towards Yawat. The roads had been good all along and the drive pleasing. The temple becomes visible soon after you leave the highway. This temple used to sit at top of a fort and the walls of the fort as still visible at places. The road leads right upto the temple. There are few turns and bends along the way all through the incline. Though there are no guides at this fantastic temple, the guard and the priest do offer useful information if free. We were lucky to have been guided by both. Legend has it that the temple was built by Panch Pandava. Consturction of the Bhuleshwar temple commenced during the period of 1230 AD during Yadava Rulers. The temple is constructed using Black Basalt rock not found in this region. The fort on which the temple is situated is called as Daulatmangal fort which was built the fort to keep a watch on the Pune city. From outside the temple has been designed like a mosque than a temple due to its resemblance to Islamic architecture like circular tomb and minarets.The guard told us that this was done to avoid invaders from destroying the temple. Inside the temple is a treasure trove of exquisite carvings, stories of Ramayana, beautiful pillars, a Nandi and lots of history. The temple is dedicated to Lord Shiva and is accompanied by idols of Godess Parvati, Lord Ganesha,Nandi,Kali,Shakti,Vishnu,Laxmi,Saraswati and many other Hindu Gods and Godesses. One is one of the very few temples in the world to have a status of Female Ganesha - Vinayaki. There are a lot of interesting carvings inside this temple and a shutterbugs paradise. The Shivling is itself unique and opens up from top. One can place offerings inside it. The temple priest told us that there have been cases of offerings disappearing for very few devout followers. It was late in the afternoon when we commenced our journey back to home. Bhuleshwar is a very interesting place to visit for believer and non-believer alike. Hong Kong will always be special to me. Our love for backpacking travelling began with this place. HK provided us with the love and confidence for international travels to begin with. 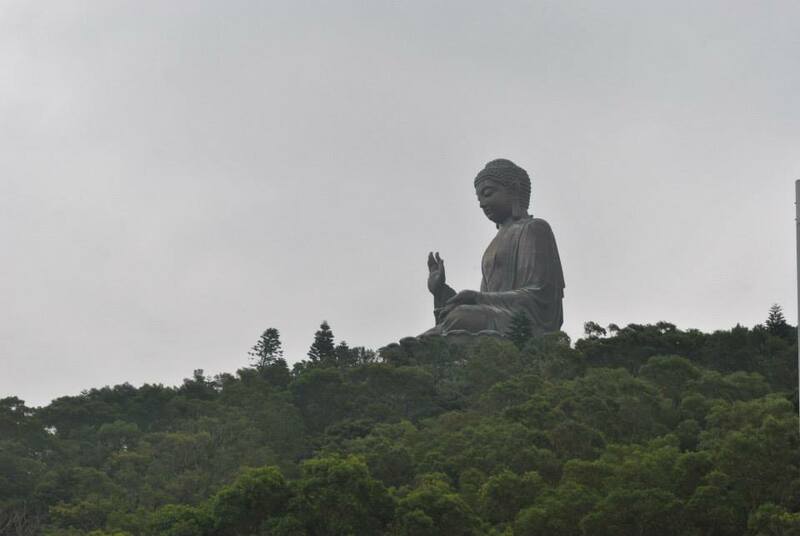 Post HK, travelling the world on self itinerary seemed possible and easy. All the inhibitions regarding language, people and ease of travelling were broken by this trip. Following is a seven day itinerary which we had designed on our own self and completed successfully. Unfortunately we do no longer have the original pictures as we lost the the drive having them. Talk about important of physical copies !!!! It does get chilly, with average lows of 13C but it's nothing a light jacket can't sort out. It feels cool; rather cold and the more moderate temperatures make January a fine time to explore the city. January offers blue skies and lowest rain of any month, apart from December. It's certainly time for trousers and sweatshirts rather than T-shirts and shorts.A light jacket will be enough for most of the time but it is smart to pack a coat. There can be colder snaps. The cooler weather makes this an enjoyable time to explore the city's outdoors. • Buy an Octopus Card at HK air port. When you arrive at the Hong Kong airport do NOT buy your Octopus card at one of the vending machines. If you have a foreign passport, it is better to purchase it at the special kiosk near the exit to the express train. • Print Tickets, Hotel Confirmation mails, tickets booked online in advance, etc in advance to avoid last minute issues. • Remember to carry passport as HK will not provide entry without it. 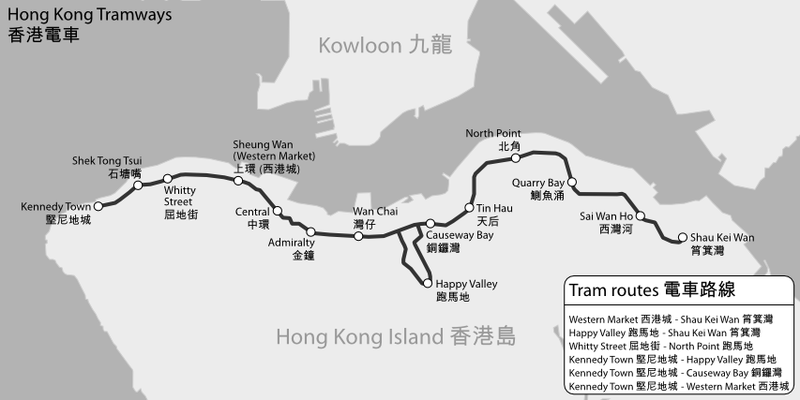 • Download HK MTR Tourist App on mobile. The flight from India is Air India A310 from Mumbai International Airport Terminal 2 on Tue, 6th Jan, 15 at 20:00 (8 PM). Please ensure to start from Pune by 10 AM morning. Must reach Mumbai by 3 PM afternoon and Airport by 6 PM max to avoid any eventualities. Similarly, the flight from Hong Kong is Air India A317 from Mumbai International Airport Terminal 2 on Tue, 14th Jan, 15 at 18:00 (6 PM). Please ensure to start from Macau by 11 AM morning. Must reach HK Air Port by 4 PM afternoon max to avoid any eventualities. 1. Original Passport, having minimum Six months validity and at least two blank pages. 2. Original Confirmed Return Air Ticket showing exit from Hong Kong, within fourteen days. 3. Foreign Exchange duly endorsed on the passport or must hold valid International Credit Card. If you are a resident in India, you can buy foreign exchange without taking permission from the Reserve Bank of India. • You can avail of foreign exchange up to US$ 10,000 in any calendar year for tourism or private travel to any country other than Nepal and Bhutan. • There is no compulsion for you to get your passport endorsed with the foreign exchange purchased for travel outside India. Should you desire to get your passport endorsed, the bank releasing foreign exchange would do it. The most useful & convenient type of Hong Kong travel pass is the credit-card style Octopus card. The "Octopus" is a rechargeable and contactless 'smart card' used on most forms of public transport ( Bus, Minibus, Ferry, Peak Tram, Tram & MTR Trains), as well as settling payments at all major convenience stores, such as Seven Eleven, fast food restaurants, Starbucks, supermarkets, bakeries, self-service vendor machines and major photo service outlets. A first card costs HK$150, which is inclusive of a HK$50 refundable deposit and HK$100 credit, in addition, any cash left on the card at the end of your stay will be returned. Octopus fares are sometimes between 5% and 10% cheaper than ordinary fares on most trips made on the MTR network, while reductions could apply for transits of specific bus services. Just touch your Octopus card over the Octopus reader and your payment will be deducted instantly. You can add value to the smart card at MTR stations and all retail outlets that accept Octopus payment. The deposit is refundable or you can retain the Octopus card as a souvenir or for use during your next visit. Octopus cards are good for three years after the date of purchase. So your HK$100 will last quite some time if you're just hopping on and off the MTR, but if you're planning more extensive and expensive swipes of the plastic, top up your Octopus card at any MTR station. The automated machines take cash and credit cards, although to load your Octopus using a credit card not issued in Hong Kong you may need to talk to a real live human being in the ticket office. Either way, putting an extra HK$500 onto your Octopus should be plenty. • The kiosk staff speaks English well. • The staff will let you know about any promotions that reduce the price of transportation from the airport into Hong Kong. • They sell so-called Airport Express Travel Passes that include one ride (or two depending on the type of pass purchased ) on the Airport Express train from/to HKIA plus 3 consecutive days of unlimited travels on the MTR. This combo card is also a regular Octopus card so it can be charged with extra credit as explained above. Please Check: If cable car is due for maintenance on day of tour. If so, look for alternate plan to reach Ngong. • Being closest to Airport, we will be directly visiting Ngong Ping 360 and then will move towards the hotel, thereby saving lot of time in the process. 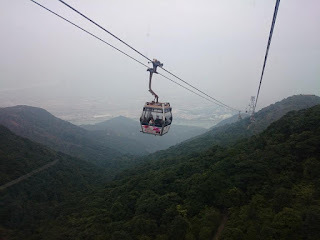 Ngong Ping 360 is sure to refresh your body and enlighten your mind, as soon as you step on the Cable Car. Ngong Ping Village is set on a 1.5 hectare site on Lantau Island, adjacent to Ngong Ping Cable Car Terminal and the Tian Tan Buddha Statue. Looking up to the southwest from Tei Tan square in the middle of the Po Lin Monastery plaza, you will see a flight of 268 steps leading to the world’s largest outdoor bronze statue – the Giant Buddha. Proceed to lunch at a vegetarian restaurant which is next to the monastery itself. To access the gallery inside the statue, you will need to purchase a ticket and the lunch meal comes along with this entrance ticket. The lunch meal comes in sets with prices ranging between – HKD60 and HKD120. Settle for the HKD60 set meal which is fulfilling and sumptuous meal indeed (though oily) and it is worth the amount paid. Tip: Order rooms at higher levels and away from the lift. Via Tokyo specializes in matcha and milk ‘soft cream’ along with traditional Japanese desserts. Always get the fruit matcha with shiratama amitsu. The green tea matcha is definitely one of the in Hong Kong. The original – soft cream anmitsu and although it is indeed creamy do prefer the green tea matcha. Try green tea latte… LOVE! The place does get extremely busy; Take away would be a better option. Please Check: Do confirm on availability of race on Wednesday the visit is planned. Tip: Bring your passport and get in at the tourist rate of just $1. 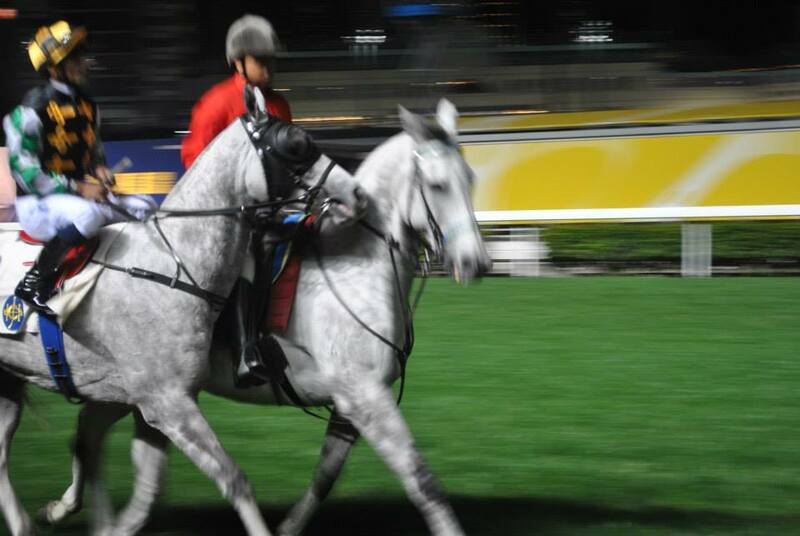 Hong Kong horseracing is arguably the most exciting in the world. 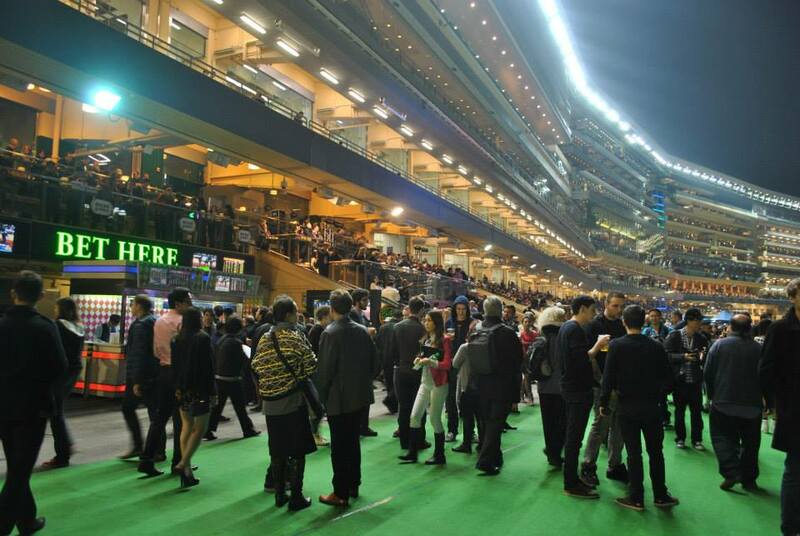 With a nominal HK$10 entrance fee, minimum bets as low as HK$10, spectators inches away from trackside, and regularly packed crowds, the experience is one not to be missed. The racecourse at Happy Valley is a hands-down world-beater; regular Wednesday night races are conducted against the backdrop of a circular wall of skyscrapers, making the place feel like the Coliseum. Tickets can be purchased at the gate or the Hong Kong tourism Board office at the Star Ferry in Kowloon, among other ticket issuing venues. 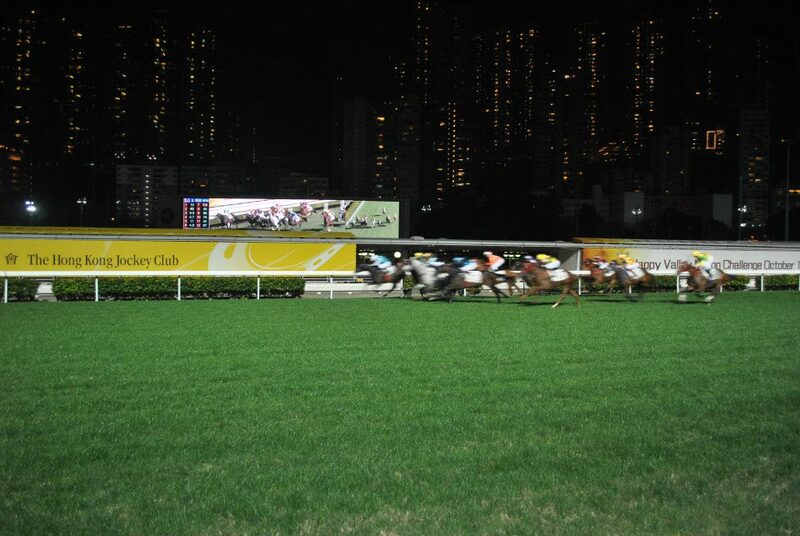 Happy Valley offers a fantastic evening and has a great atmosphere. Advisors are also on hand to help you fill in betting slips. Conducted on a Wednesday night and it was awesome. Wear jeans, boots and a leather jacket. Similar dress code if you were going out for dinner in winter. The whole grandstand is open to the general public but on your far left the speakers call everything out in Chinese/Cantonese (sorry for bad spelling) and the right side where the bands are bars are is all in English. 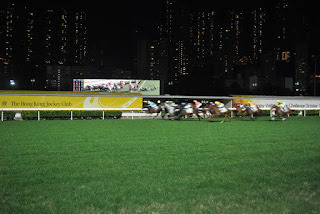 A beer garden with racing commentary in English is available at Happy Valley near the finishing line where many expatriates congregate during the races. Be sure to pick up the Racing Post section in the South China Morning Post on race days to guide you. Expect much to be happening at the track on off-days. Forget your passport in order to get admitted. Go to the track without first checking the schedule online. 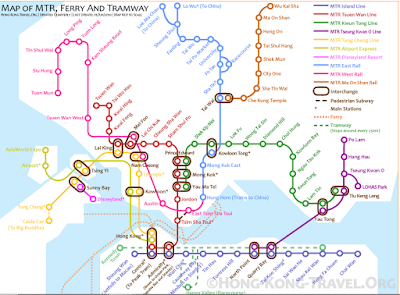 Hong Kong Tramways (Chinese: 香港電車) is a tram system in Hong Kong, being one of the earliest forms of public transport in the metropolis. 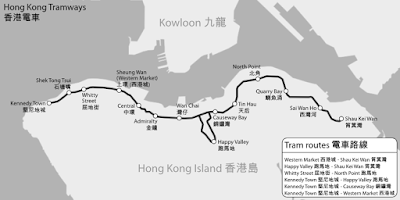 Owned and operated by Veolia Transport, the tramway runs on Hong Kong Island between Shau Kei Wan and Kennedy Town, with a branch circulating Happy Valley. Trams in Hong Kong have not only been a form of commuter transport for over 100 years, but also a major tourist attraction and one of the most environmentally friendly ways of travelling in Hong Kong. It is the only tram system in the world operated exclusively with double-decker trams, and is one of only three non-heritage tram systems in the world that use double-deck cars. Tip: Head to the Summit first using the Ocean Express Train. Can use the Cable Car while coming down later. Located on the south side of the island just after the Aberdeen tunnel, Ocean Park takes about 10-15 minutes to get to via taxi from Central, depending on traffic. Buses are available. For example, City bus Route 629 leaves from the Star Ferry pier, stops at Admiralty (where several major hotels are) and heads straight to Ocean Park. Ocean Park is a major attraction in Hong Kong, any visit to Hong Kong should include the world famous Ocean Park. The park has won several awards, including The World’s Seventh Most Popular Amusement Park and 33rd Most Visited Tourist Attractions in the World by Forbes. The Cable Car: With unbeatable views, the Cable Car takes you up the steep mountain along the shoreline. People who are afraid of heights should give this a skip as it can be windy here. Kids love it and it sure is easy. The Ocean Express train: A recent and welcome addition to the park, the Ocean Express train hurls guests up to The Summit through the mountain in just a few minutes. It’s air conditioned with a little movie playing on the inside to make guests feel as if they are in a submarine. For whatever reason, in the morning shortly after park opening, the line for the Cable Car is very long. The Ocean Express train line can look long but they can cram a lot of people into each train. This is probably your best bet. Alternatively, the Cable Car line going down the mountain isn’t crowded until about the time the park closes. Grand Aquarium: Near the entrance, the Grand Aquarium is quite impressive. Filled with 5000 fish from 400 species, it also has the world’s largest aquarium dome to peer into. Wind your way through tunnels and various exhibits while inside. If you happen to be visiting the park in the evening Symbio is a light based water show set to a soundtrack that happens in the giant lagoon outside of the aquarium. Asian Animals: Highlights here include the two pandas even though they don’t do very much activity-wise. Based on the sloped nature of the enclosure, you should be able to get a decent look. Nearby are the Asian otters (always a favorite–so cute), monkeys and some crazy-looking little alligators. Asian Animals is in between the Grand Aquarium and Whisker’s Harbor. Old Hong Kong: If you take the Cable Car down from The Summit, you’ll walk through here anyway, but it’s modeled after Hong Kong in the 1950s and something cool to look at for a minute or two. Plenty of quick local food is available and the carousel is here, too. Pacific Pier: This is where the 20 seals and sea lions are. We usually spend a lot of time here because they’re active and cute. It’s shaded here, too. Plan your visit here around the timed feedings. Ocean Theatre: Here is where the big marine life shows are. The new dolphin show is called “Sea Dreams” and every show here has been good. Get there a little early for prime seating if the park is crowded. Aberdeen harbor is home to hundreds of people living on fishing junks. Here a huge contrast of modern & traditional setting takes place. To get a close-up look at the Aberdeen way of life, visit Jumbo Kingdom, a brainchild of Dr. Stanley Ho, the world-renowned Jumbo Floating Restaurant was established in October 1976. It took four years and millions of dollars to design and build. It is ornamented in the style of a gorgeous and exquisite ancient Chinese imperial palace. Ned Kelly was an Australian outlaw (folk hero to some) who was hanged in 1880 when he was 25 years old, making this Aussie saloon famous since 1972 for Dixieland jazz much older than its namesake. Its house band, playing nightly from 9:30pm, brings in an appreciative mostly middle-aged international crowd. Because it also serves Australian bar food, from cottage pie (minced beef, onions, vegetables, and mashed potatoes) to fish and chips, you can also stop by for a meal. It's a rumble-tumble kind of place, not unlike what you'd find in the Outback, and with the band on a raised stage, the audience has a good view no matter which wooden table they've staked out. Happy hour is daily until 9pm for beer and certain drinks, but if you order something as high class as a cocktail you'll pay the full HK$75 price. Replenishing stations: There are no replenishing stations along the way, so stock up with food and water at supermarket or convenience store in Shau Kei Wan before starting out. Tip: There are showers at Big Wave beach to take showers post hike. The #9 bus from Sai Wan Ho is an experience in itself. Try to sit upstairs so you can watch the twisty roads carved through rocks. It can be reached by taking mini green bus from MTR Shau Kei Wan. The green bus can be found opposite the bus terminal at MTR Shau Kei Wan exit A3. You can also choose to ride bus #9 at the bus terminal. From MTR Shau Kei Wan Station Exit A3, take bus 9 at Shau Kei Wan Bus Terminus to To Tei Wan (Bus Stop 12), Shek O Road. The entrance to the hike is on Shek O Road near To Tei Wan village. Be sure to look out for the sign! To take mini green bus, you need to know the exact location to stop at To Tei Wan as you need to alert the driver before the destination. I am first time going there; the bus driver is very helpful. He showed me the landmark and stopped for me the bus stop at To Tei Wan. The bus fare is HKD7 one way. From Big Wave beach took no.9 to Shek O bus terminus (a small old bus stop) 5-10 mins journey and takes the return trip on same bus number to Shau Kei Wan. Maybe around 30 mins trip for this. Lunch at few places to eat on Big Wave beach. Perching on The Peak at 396 meters above sea level, The Peak Tower is one of the most stylish architectural Hong Kong attractions. Moreover, The Peak Tower boasts the highest 360° viewing platform – The Sky Terrace which offers spectacular panoramic views of the vibrant city. Start with a spellbinding ride on the Peak Tram, which offers stunning views as it climbs 373 meters (about 1,200 feet) to the top of Hong Kong Island. The trip takes only eight minutes but the wait can be unbearable during peak weekend hours. Visit weekday mornings to avoid the crowds. The Peak Tram departs within 10- to 15-minute intervals from the Lower Peak Tram Terminus on Garden Road in Central. Fares can be paid with exact change or an Octopus card. Fabulous views meet you when you reach The Peak. Once you arrive, it is clear why this is one of Asia's most popular destinations. It has a number of viewing areas and the highest 360-degree viewing platform--The Sky Terrace--is perfect for a photo. There are plenty of restaurants, bars and shops. Next door, the Peak Galleria also has some nice viewing areas, which are typically less crowded. Enjoy walking around. The views are equally impressive day or night. Walk out of The Peak Tower to Mount Austin Road. This 5- to 10-minute nature walks captures the beauty of the lush tropical foliage and birdlife unique to Hong Kong. Chinese locals, Peak residents and tourists come here to get away from the hustle and bustle of the city. 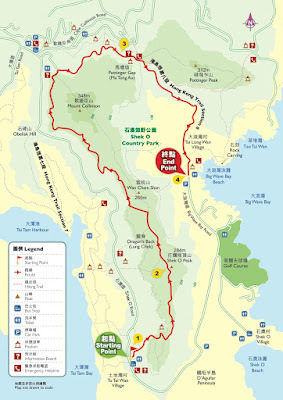 The Hong Kong trail is a loop around the Peak that runs about 40-60 minutes. It is an excellent way to experience the Peak scenery and get close to nature. Exit the Mount Austin Playground and keep left until you meet Lugard Road. From there you will begin the loop around the Peak. 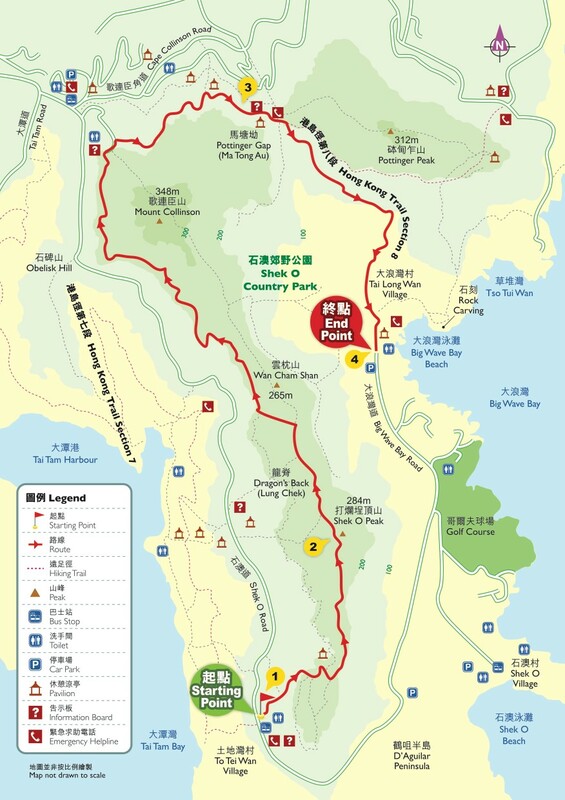 Halfway through your walk, at the end of Lugard Road, turn into Harlech Road, which brings you back to your original starting point. This restaurant has a beautiful garden terrace with views of Aberdeen. It is an oasis of calm amid the crowds that gather at The Peak and a popular breakfast spot. Walk to The Peak Tram lower terminus (15 to 25 minutes). From Lippo Centre Tower (near Admiralty station Exit B), walk over pedestrian crossing to other side of Queensway Street (towards Hong Kong High Court). 1. At least 1 hour of waiting before you get into the tram. There is a lot of crowd especially in the evening for the sunset. 2. Great tram ride. A bit surprising as the elevation is quite steep in between. 3. Drinking coffee/tea from the cafe enjoying the view is a must do! Although many establishments in Mong Kok are also open in daytime, shopping at night is a lot better an experience. Mong Kok is said to be the largest outdoor shopping destination in Hong Kong. The streets are like a big open-air shopping mall. You can find the Ladies’ Market (Tung Choi Street) here. Mong Kok is also home to the goldfish market and Mongkok Computer Center Drop by the flower market, bird park and Temple Street just nearby. It was easy to walk around the entire area. Although crowded and chaotic, walking along the pedestrian zone was enjoyable. If you’re looking for clothes from Hong Kong’s most popular apparel chains, you will find them all here, too. Go around the block and you’ll find many outside stores selling all sorts of products — bags, shirts, mobile phone cases, decors, souvenir items. You may make “tawad” here because they don’t have fixed prices. Don’t leave your bargaining skills in Manila coz you will need them here! Central (Star Ferry pier 7)–Tsim Sha Tsui Adult lower/upper deck $1.80/2.30, child $1.30/1.40, seniors free; seven minutes; every six to 12 minutes from 6.30am to 11.30pm. This place is legendary. If you love breakfast, EGGS, pudding or just FOOD – you have to visit this food joint. They have snaking queues during lunch hour 12-2pm so avoid it or be prepared to line up behind maybe 50 people or so. However, although the queues are long, they move FAST. Of course a fast moving queue like the one at Aus Dairy Co. also means that they expect you to finish your meals, pay the bill, and leave in a matter of 15 minutes. Take their “service” with a pinch of salt. Waiting time is almost non-existent here. Scrambled eggs with toast. It is such a simple dish and yet no one can do it like ADC does. This dish is an absolute MUST HAVE when you visit HK. The French toast was gorgeous. Deep fried in egg with a slice of butter slapped on top. The maple syrup is placed at the table so you can pour whatever copious amounts you desire. Milk Pudding Freaking smooth and melt in your mouth goodness that they probably make with the bottled milk they sell at ADC. There’s a warm and cold version but prefer the cold on e because it tastes more “dessert-ish”. Exit C2 Jordon’s MTR Station and walk towards Parkes Street. Hong Kong has many temples, but one of the best and certainly a favorite amongst tourists is this. 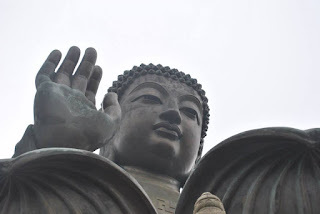 The Temple of 10,000 Buddha’s is stationed in the secluded greenery of the New Territories, featuring nearly 12,000 Buddha statues in various poses. Reaching the Temple - KCR Train from Tsim Sha Tsui Station to Sha Tin Station from where the temple is signposted. Price - Free, although donations always welcome. • The 10,000 Buddha’s Monastery is easy to get to. At Shatin MTR take exit B, turn left, walk down the ramp alongside the bus terminus (just follow the crowd), down to street level, past Pai Tau Village on the left. keep walking to the junction with Pai Tau Street on the left (you will see a shopping plaza with Homesquare and IKEA store). • At the end of Sheung Wo Che Road is a yellow direction sign for the monastery. • After a short walk on the path you will come to the start of the steps. The walk from the MTR station to the start of the path leading up to the monastery takes about ten minutes. Enjoy the climb if you can. There is a Buddha statue on the side of every step. All are different. There are benches to rest on if you get tired, but really it is not that strenuous as likely you will take your time walking and taking photos on the way. Warning: do not give money to the people dressed as monks. They are not real monks. Real Buddhist monks do not ask for money. Actually there are no resident monks at this monastery, it is managed by laypersons. The entrance to the temple is guarded by a variety of gods who you wouldn’t like to meet in a back alley. Inside you will be rewarded, by 12,800 miniatures Buddha images, none of which amazingly are the same. Outside is a peaceful 9-storey pagoda looking out over the lush greenery of the New Territories. If the first climb didn’t have you calling the emergency services, a further 69 steps up the hill you’ll find the temple of Man Fat, which holds the remains of Yuet Kai, the founder of the complex. There is a vegetarian restaurant. English is not well spoken by the staff but it is still worth having a bite to eat there. And have a refreshing drink. Note: on this level there is another entrance/exit at the other end to the main entrance. There are not as many steps to walk. It leads to a small village (and small bee-hive where you can buy honey) and eventually comes out quite close to the Shatin MTR station. Also, there is an upper level to walk to, take the path near the main entrance. It is not as strenuous a walk as the first lot of steps. It is worth walking up to the next level. You get some very good views over Shatin and there are other smaller halls and pavilions to visit. You will even see a small waterfall with small turtles and some goldfish in a small pond. Overall you can allow 2-3 hours for the walk there and back and looking around the monastery. One of the most beautiful and arrestingly built environments in Hong Kong, this large Buddhist complex, originally dating from the 1930s, was rebuilt completely of wood (and not a single nail) in the style of the Tang dynasty in 1998. It is a serene place, with lotus ponds, immaculate bonsai tea plants and bougainvillea, and silent nuns delivering offerings of fruit and rice to Buddha and arhats (Buddhist disciples freed from the cycle of birth and death) or chanting behind intricately carved screens. The design (involving intricately interlocking sections of wood joined without a single nail) is intended to demonstrate the harmony of humans with nature. It’s pretty convincing – until you see the high-rises looming behind the complex. You enter the complex through the Sam Mun, a series of ‘three gates’ representing the Buddhist precepts of compassion, wisdom and ‘skilful means’. The first courtyard, which contains the delightful Lotus Pond Garden, gives way to the Hall of Celestial Kings, with a large statue of the seated Buddha surrounded by the deities of the four cardinal points. Behind that is the main hall, containing a statue of the Sakyamuni Buddha flanked by two standing disciples and two seated bodhisattvas. To reach the nunnery, take exit C2 of Diamond Hill MTR station, walk through the Hollywood Plaza shopping centre and turn east on to Fung Tak Rd. The nunnery is a five-minute walk away. The park is located just east of the Diamond Hill MTR station and is open from 7am until 9pm daily, free of charge. Also, it is adjecent to the very beautiful Chi Lin Nunnery that should be visited as well when going to the Nan Lian Gardens. For a quick course in Hong Kong's history, from its days as a small fishing village through its years as a British colony, this museum is a must-see. Open Wednesday to Monday 10am to 6pm (until 7pm Sun and holidays). To pay tribute to outstanding professionals of Hong Kong’s film industry, HK$40 million was sponsored for the construction of the Avenue of Stars. The Symphony of Lights is the “World’s Largest Permanent Light and Sound Show” by Guinness World Records, has been further expanded to include more than 40 buildings on both sides of Victoria Harbor. A stunning, unforgettable spectacle synchronized to music and narration that celebrates the energy, spirit and diversity of Hong Kong. MTR East Tsim Sha Tsui Station Exit J, and follow the signs to the Avenue of Stars and Tsim Sha Tsui Waterfront. The Aqua Luna is a gorgeous hand-crafted vessel run by the Aqua Restaurant Group of Beijing/London/Hong Kong fame. You are perhaps not sailing an original old traditional fishing junk as opposed to the Duk Ling, but still very much an adventure in exquisite and classy surroundings. The round-trip sail to Stanley and back was well worth the price. One thing to note: the Aqua Luna boards on the Hong Kong side first, then sails over to Kowloon and boards more passengers before starting the trip. This meant that even though we were the first group to board on the Kowloon side, all of the big, comfy seats on the upper deck were taken! If you are taking a one-way tour, it would be worth the time to cross the harbor and board on the HK side to make sure you get to sit where you want. On the Kowloon side, the Aqua Luna picks up passengers at Pier 1. This is the farthest pier away from the star ferry building underneath the raised walkway. The website allows you to reserve 10 days in advance and if you want to go would recommend that. The lounge chairs on the top deck were the best and most luxurious way to take this cruise. The best part of Aqua Luna has to be the top deck which is lined on both sides with comfy sofas where you can lounge, enjoy your cocktail and the marvelous views all around you. To Eat: the scrambled eggs are lovely and the French toast is to die for. Their bread is about 2 inches thick and makes mean toast. Tea, with lemon or milk is good, milky coffee or hot or cold Ribena for a change. Hong Kong Disneyland Theme Park is dedicated to the young and the young at heart. Your admission ticket gives you a full-day pass to Hong Kong Disneyland, where Disney characters come to life. Embark on a magical journey through various themed lands, such as Fantasyland and Toy Story Land. The whole family will enjoy the numerous rides, shows and attractions the park has to offer. Come face to face with characters and places from the Disney movies. It’s a Small World: Experience the joy of costumed dolls and creative sets. • Mickey’s Philhar Magic: Be swept away by Disney animation in 3D. • Voyage on a boat journey to the home of The Lion King! Discover the thrill of space exploration with an optimistic vision of the future! Join the toys from your favorite Toy Story films for playtime in Andy’s backyard! Disney in the Stars Fireworks (9.5/10) – Hong Kong Disneyland’s nightly fireworks display, set to a montage of Disney music. This is similar to Wishes in the Magic Kingdom and Magical at Disneyland. There are spinners on the face of the Castle and a wider spread of near-level fireworks than found in the US parks. Disney’s Flights of Fantasy Parade (9/10) – Hong Kong Disneyland’s daytime parade debuted during the park’s 5th Anniversary and is very solid for a daytime parade. There are some cool floats (the lead Mickey Mouse balloon float is very impressive and definitely the highlight) and the music is very catchy. It has two show stops, and features a combination of more traditional floats and higher energy acrobatic performers. It’s especially popular in the hub around Sleeping Beauty Castle, so should up at least 30 minutes (more if it’s busy) in advance to stake out a spot for the parade. Jungle River Cruise (8/10) – Comedic boat ride through the jungles of the world. Jungle River Cruise has the same premise as the Jungle Cruise–the skipper is still the star of the show, with the scenery as a backdrop for their jokes. Three separate lines are available, for Cantonese, English, and Mandarin and boats. Due to having three lines for different languages, Jungle River Cruise can have long lines; we recommend doing it early in the day, after Toy Story Land if you do that. Festival of the Lion King (10/10) – Acrobats, singers, and other performers in tribal attire and vibrant costumes, plus barges with Lion King characters and other creatures enact scenes from the Lion King in a very lively theatrical show. There’s a lot of stuff going on, but unlike the Animal Kingdom abstract version, this is a condensed retelling of the movie. The performers are still the highlight of the show, and everything in this version feels less temporary than the Animal Kingdom version. I prefer the abstract style, but this lacks the audience ‘animal sounds,’ which was nice. Tarzan’s Tree house (8/10) – Similar to Tom Sawyer Island, this is a walk-through/play area on an island (in the center of the Jungle River Cruise) that is serviced by ferry. This is much more than just the Tree house at Disneyland. There’s plenty to do on the island without going into the tree house, with areas to explore, and several interactive exhibits. Tarzan’s Tree house itself offers stunning views of the park, too. Animation Academy (7.5/10) – A drawing class, plus the adjacent ‘Art of Animation’ (we don’t consider that a separate/distinct attraction). For those interested in sketching a character, the drawing class is fun. The walk-through Art of Animation portion includes an awesome Toy Story Zoetrope, Marquette, storyboards, and background paintings of Disney characters. Mickey’s PhilharMagic (10/10) – 3D montage film mostly from the “Disney Animation Renaissance” cleverly tied together with Donald Duck. Children of the 90s are sure to love this film, but really, anyone should enjoy it. The theater in Hong Kong was specially built for PhilharMagic, so it’s a little bit nicer of a venue than the other parks’ venues that show PhilharMagic. This show is in Cantonese. it’s a small world (8/10) – The classic boat ride featuring the children of the world. This was the first version to feature Disney animated characters (certainly a divisive addition, but one we don’t mind), and it does the best job of integrating them. It also seems to be the longest version of the attraction, with scenes not found elsewhere. Unlike the Disneyland Paris version, this maintains the original Mary Blair style, and executes it well. Nothing tops the Disneyland version of ‘it’s a small world’ for us, but the Hong Kong Disneyland version is a close second. Buzz Light-year Astro Blasters (7/10) – Interactive ride through shooting game set in the Toy Story universe. This is a reasonably popular attraction in Hong Kong Disneyland, but it’s essentially a direct clone of the Disneyland version (which is superior to the Walt Disney World version). If your time is limited and you’ve done the Disneyland version, skip it. If you’ve only done the Walt Disney World version, do this one. FastPass is available, but you probably won’t need it. Orbitron (6.5/10) – Spinner ride similar to Dumbo; this one makes it onto our ‘top’ list because it has cool UFO ride vehicles, and offers great views of Space Mountain and the mountains behind Hong Kong Disneyland. Side by side seating is also more comfortable. Do it at dusk when the neon is coming on and the mountains are still visible. RC Racer (6.5/10) – Steel shutter ‘half loop’ coaster where guests strap into the RC car from Toy Story and go back and forth on the track. As guests are parallel to the ground at the top of each side of the track, this is deceptively thrilling and offers cool views of the park. Do all of the Toy Story Land attractions first thing in the morning, if at all. Hong Kong Disneyland Railroad (6/10) – A railroad ride around the perimeter of Hong Kong Disneyland with scenic surprises along the way. Inferior to the Disneyland Railroad, but still worth doing to see parts of the park you otherwise wouldn’t. Space Mountain (9.5/10) – Space Mountain a dark roller coaster through outer space. This is our favorite version of Space Mountain in terms of the attraction experience (Paris gets the nod for its beautiful exterior). The LaunchPort load area is a bit different than the Disneyland and Tokyo Disneyland versions, as it has glowing planetoids overhead. It’s the main ride that gives it the edge, as not only does it have on-board audio, but a cool “Hypergate” launch and projections similar toGhost Galaxy at Disneyland during Halloween (Ghost Galaxy actually originated in Hong Kong). Use FastPass in the afternoon or evening for Space Mountain. • Bring your own water bottle. The park allows you to bring your own water but not food. There are water dispensers/water coolers provided around the park for you to refill. • Try to take early or late lunch to avoid lunch crowd as seating are limited. • Make sure your time check point to include 5.30 and 8.00pm for parade and fireworks respectively. • You can leave your luggage at luggage area for a fee without having to drag around the park and leaving it unattended. • Be a bit aggressive when you are standing in your queue coz there’s a lot of visitor doesn’t seems to understand queuing etiquette. Alert the staff on duty if you see others cutting queue especially tour groups. This happens a lot at rides and eating areas. • All visitors should not leave the park until the firework show end. It definitely worth the wait! You and your child will enjoy the firework show. There are regular ferries between Hong Kong and Macau – in fact it’s really the only way to travel between the two islands – but if you are heading to Macau’s casinos you may want to consider using the Cotaijet ferry from Hong Kong to Taipa rather than the usual route to the Macau Ferry Terminal. Ferries run from the Taipa ferry terminal – near Macau International Airport to the Hong Kong – Macau ferry terminal in Sheung Wan/Central on Hong Kong Island. At the Taipa ferry terminal you will find free complimentary shuttle buses to deliver you to casinos along the Cotai Strip, most notably the Venetian. You do not need to be a guest. Cotaijet only operates high speed catamarans so the journey between Hong Kong and Macau takes around 60-70 minutes. You will need to arrive early to clear passport control and customs. There is a full border between Hong Kong and Macau. Ticket prices are dependent on when you sail, with night sailings and weekends attracting a premium. Ticket prices range from $151 to $185 for standard fares. There are first class seats available but the difference in quality is negligible. It’s worth noting that tickets from Hong Kong are slightly more expensive than those from Macau. Tickets are available 30 days in advance. You can buy tickets in Macau at the Venetian and Sands casinos as well as at the ferry terminal itself. 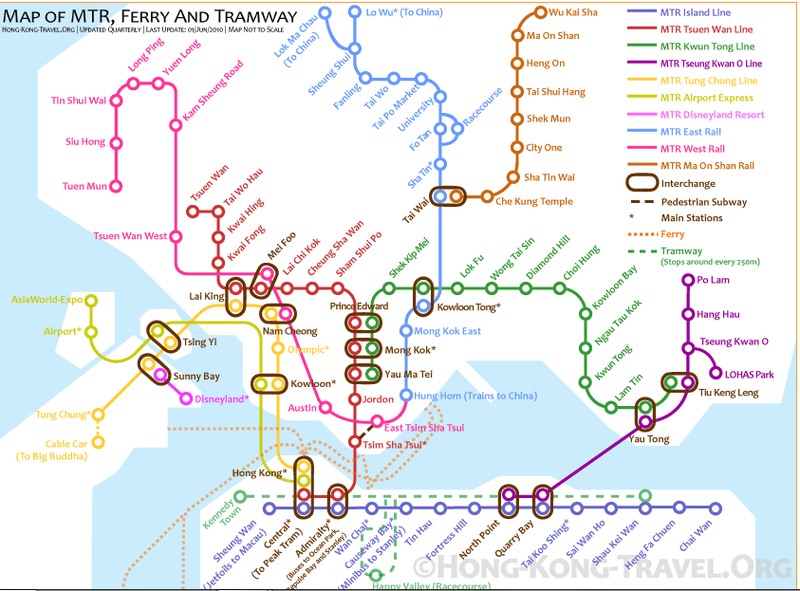 In Hong Kong you can buy tickets at the Hong Kong – Macau ferry terminal (where the ferry departs from) or at the Cotaijet counter at the China Ferry Terminal in Tsim Sha Tsui. You can also book on the Cotaijet website. Do I need a visa for Macau? No, most people don’t need a visa for Macau. US, Canadian, EU, Australian and New Zealand passport holder’s visas will be given at least 30 days visa free stay in Macau upon arrival at the ferry terminal. Winter weather in Macau (Mid-December - February) is noticeably cooler than the city's other seasons, it is nevertheless mild. Snow is unheard of in Macau and frost occurs only one once or twice a year. Crisp, clear days, with little rain, do make winter a viable time to visit Macau. Sweaters will be needed for most days and a light jacket or coat for evenings. Despite the locals, gloves and scarves are only needed by those particularly susceptible to the cold. This former Portuguese colony is famous as a gambling haven but is often under-appreciated for its exotic fusion of Portuguese and Chinese culture. This cultural amalgamation is palpable from its mix of local Chinese dwellers and ubiquitous Portuguese influences, such as the various Portuguese-inspired foods and pastel-colored Portuguese architecture. Best way roam around Macau is to walk. Macau is a small territory and it can be visit by a simple walk. However, it is not possible to visit everything in a day by this method. Another option is to hire a cab, but important sites in Macau are located so closely, that most of the time of your visit, your driver will wait simply outside, while you roam from one site to another. So, it is wastage of money. Public buses also do not seem a good alternative. Another interesting option is to wisely use the casino buses, that runs throughout Macau. These buses are comfortable, free of cost and frequent in service. By using these buses you can visit Macau without any transportation cost. Taipa Village is an old settlement on Taipa Island near the Cotai Strip. It’s worth a visit if you’re staying on Taipa or Colane islands. Walk along Rua do Cunha or one of the cobblestone side streets to buy pastries or souvenirs and visit the Taipa House Museum and Church of Our Lady of Carmel. With all the modern casinos rising up around it, this colonial-era town feels like a place frozen in time. Beyond the glitzy exterior of Macau lies Taipa Village, a charming enclave that houses rows of rustic Chinese/Portuguese restaurants and shops. This is perhaps the only place in the world where you can walk past a sprawl of traditional Chinese shops, turn the corner, and find Portuguese-styled buildings in their light hues of yellow, green, and blue. Macau is basically famous for its gambling industry and has 33 casinos on its two islands. 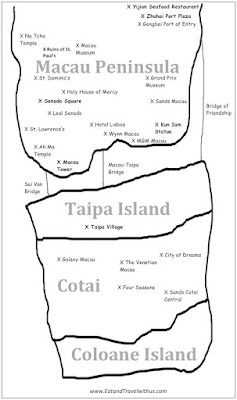 23 casinos are located on the Macau Peninsula and 10 casinos on Taipa Island. Opening Hours: Every casino run 24×7, throughout the year. Entrance is Free. Various sections of a casino may have different opening and closing hours. It’s fair to say that the battle for Macau’s best casino currently boils down to The Venetian Macau vs. City of Dreams Macau. The City of Dreams Macau is a one of a new breed of mega, casino resorts in the city and with its round the clock entertainment, high end hotels and gourmet restaurants it aims to be a destination for tourists looking to relax as well as gamblers. The blockbuster entertainment at the City of Dreams Macau is the House of Dancing Water - an action packed and unique water based show in the casino. Part synchronized swimming, part Evil Knievil it's a breathtaking spectacle that has received rave audience reviews. Also on site is the Dragon's Treasure, a 10min light and sound show popular with the kids - as is the Kid City inside the Hard Rock Cafe Hotel. There are also a handful of more adult themed lounge shows which are largely mediocre. If you can peel yourself way from the tables, your free time is best spent in the restaurants. There is little of the all you can eat, free for all buffets seen in Vegas or the Venetian across the road; the emphasis here is on fine dining and the five ‘signature restaurants’ are jaw droopingly stylish with sleek interiors where dressing up, not down is expected. Tickets: at Boutique di Gondola (shop 904) and Emporio di Gondola (shop 905). Make sure to try the famous Portuguese egg tarts sold by Lord Stow’s Bakery and Café. Living up to its name, this is the biggest draw at Sands Cotai Central, one of the the resorts under Cotai Strip Resorts! From parents to kids to their grandparents, everyone flocks to Level 1 of the Shoppes Cotai Central retail mall around 3.30pm. At 4pm sharp, the parade team had arrives. Besides the DreamWorks characters, the march are backed by around 32 performers including 12 characters, stilt walkers dressed in colorful clothes grooving along happily! A must watch for everyone. One of the coolest things about the trip was the Meet and Greet session with the DreamWorks characters like Shrek, Alex, Kung Fu Panda.... in the Paradise Gardens of Sands Cotai Central. The beautifully themed and sprawling garden is split into segments dedicated to each character. So, you can click and get clicked with your favorite animation character — from Fiona to Puss in Boots — here, there and everywhere. Do not miss the merchandise kiosk. It has some of the cutest and rarest DreamWorks products. The World’s Largest Water Extravaganza City of Dreams and Franco Dragone Entertainment Group proudly present the world’s largest water extravaganza – The House of Dancing Water. This breathtaking show is staged in the purpose-built Dancing Water Theater which features approximately 2,000 seats and is designed by world renowned Sandi Pei of Pei Partnership. Dive into the world of Dragons Treasure in this completely immersive multimedia show at City of Dreams. You’ll be transported to another world as the four Dragon Kings explore the mysterious powers of the Dragon Pearl and introduce you to their magical kingdoms. It all takes place at The Bubble - a dome-shaped theater specially built for this show. Macau's answer to the Bellagio Fountains in Las Vegas, the Wynn Performing Lake is an 800,000 gallon artificially made lake with over 200 water nozzles, performing every 15 minutes throughout the day and night, starting from 11.00am running until 12.00am (midnight), 365 days per year. The Tree of Prosperity is the centerpiece of the Wynn atrium. This is a choreographed event of sculpture and multimedia that entertains the passersby with a show concerning Chinese and western astrology and the four seasons. The show is free and shows every half hour alternating with the Dragon of Fortune. The bridges of Mac au are indeed rather beautiful and majestic at night. 1. Sai Van Bridge (Ponte de Sai Van /西灣大橋). Take pictures of the Macau-Taipa Bridge from outside MGM hotel, and sit on one of the benches to enjoy the night breeze and picturesque view of the bridge. Located on the Cotai Strip, The Venetian is a massive resort with an enormous number of slots for you to choose from. In total, there is somewhere around 3,400 slot machines in the complex, which dwarfs the slots options at even the other casinos you’ll find on this list. Senado Square (Largo do Senado / 議事亭前地) is a beautiful town square in Macau paved with traditional Portuguese mosaic. It houses an elegant water foundation in the centre. Senado Square used to be the official civic square of Macau when it was still a Portuguese colony, but today it is a popular tourist attraction and listed as one of the sites in the UNESCO World Heritage Site “Historic Centre of Macau”. The whitewashed, neoclassical building on the east hand side of the square is The Holy House of Mercy, a charitable, church organization since its inception in the 16th century. Despite its divine mission, the building itself hasn’t always been a home of praying and piety and the house has served as a refuge for prostitutes and was actually where Macau’s first lottery ticket was sold – for charity of course. Today it’s home to a small museum commemorating the Society’s charitable works in Macau, including the skull of its founder, Dorn Belchior Carneiro. At the back of the church, walking through the wide veranda is a small museum with an extensive collection of sacral art from both Macau and Portugal. Some of the pieces stretch back to the 16th century and include paintings, religious artifacts and a variety of statues, several of which look like they’ve been lifted from a Best of Kitsch convention. From the church, take Rua da Pahla, turning into Rua Sao Paulo to reach The Ruin's of St Paul's. Undoubtedly Macau’s blockbuster tourist attraction, St Paul’s is the ruins of a 16th century Jesuit church, which many believe to have been the most important church in Asia during Christianity’s early forays into the region. The church was almost wholly destroyed by fire in 1835, while being used as a barracks, and all that remains is the remarkably impressive façade. Set in stone, the four storey façade is held aloft by slender columns and adorned with intricate carvings of biblical scenes, saints and more Asian inspired images. At the top of stairs, to the right St Paul's facade you'll find the escalator to the Monte Fort. Look for Macau Museum signs, which are built into the fort's foundations. As a Christian stronghold in a distinctly un-Christian neighborhood, the city’s early Jesuits was constantly concerned about invasion and having their heads chopped off by non believers. In 1617 they began construction of the Monte Fortress, a stronghold that would eventually cover over 10,000 square meters and was designed to withstand a siege of over two years. The fort didn’t see much action over its lifetime and the cannons were only fired twice in anger, once when, instead of rampaging pagans, a Dutch fleet arrived to invade the island. Seriously outmanned and outgunned, a Jesuit priest, apparently in retreat, fired one of the canons by mistake. Fortuitously he struck the Dutch gunpowder ship, blowing it and half the fleet into the sky. You've completed the first half of the tour, ticking off most of Macau's most important Portuguese sights along the way. However, if you want to see the Moorish barracks, which is highly recommended, along with a number of other interesting sights, retrace your steps back to the Largo Do Senado, cross Aveinda de Almeinda Riberio, walk east from the Leal Senado, before turning south onto Rua Central. You'll find the Dom Pedro Theatre on the right hand side, on Calcado do Teatro, after walking less than 500m. Arguably Macau’s most quintessentially Portuguese square, Largo do Lilau may lack the grandeur of Largo do Senado but the cluster of low rise, almost cottage like houses that bank the square and streets surrounding it, decked in pastel tones and featuring wooden shuttering, are an authentic slice of small town Portugal in the heart of Macau. It’s said that if you drink from the fountain at the heart of the square, you’re sure to return to Macau. 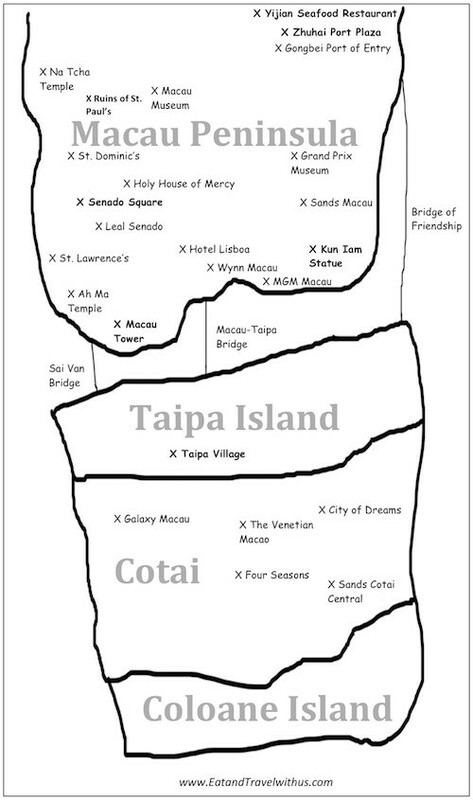 Macau was just a link in the chain that was the Portuguese Empire, stretching from Goa, to Mallaca to Macau. In the late 1800’s the Portuguese dispatched a garrison of Indian police to the territory, housing them in a specially designed, Moorish inspired barracks. The building moulds together Portuguese, Indian and Moorish influences, the latter best seen in the horseshoe arches that hold the barracks wide verandahs and the turreted roof. The building is now home to the city’s Maritime Authorities and is off limits, but you are free to wander around the exterior. There are many traditional Chinese temples in Macau. There are also more well-known ones like the Na Tcha Temple (哪吒庙) and the Ah Ma Temple (妈阁庙) in Taipa Village. Dedicated to the same goddess of the sea known as Tin Hau in Hong Kong, this temple is the oldest place of worship in Macau. Founded before the arrival of the Portuguese, it inadvertently gave its name to the colony – Macau is a corruption of A-Ma Kok (the Bay of A-Ma) – but the current complex dates from the 17th century. Standing at 338 meters tall, the Macau Tower is another popular attraction in Macau. It boasts amenities such as an observation deck, a revolving restaurant, and even a cinema. For the adventurous (like Raevian), you can also try the world’s second highest bungee jump at 233 metres. Macau Tower is an important landmark of Macau with an impressive height of 338 meters. It is approx. 4 kms from the Outer Harbor Ferry Terminal and about 3 kms from the Fisherman’s Wharf. Also known as Macau Tower Convention and Entertainment Center, it has an observation deck for panoramic views, theaters, shopping malls, restaurants and also famous for bungee jumping from the top. It is also used for communications and broadcasting. Charges are variable depending on the activities. If possible, try its observation desk for an impressive night view of Macau. You can simply catch a cab to reach this place. The Macau cab fares are very reasonable. Galaxy's Diamond Show at the main entrance to the complex runs every half hour. The concept of a huge acrylic diamond rising from an underground pit to meet the suspended column shaped chandelier bears a striking resemblance to the Wynn Macao's free multimedia show at its Rotunda or main entrance to the casino. The Educational Restaurant is a training unit for the hotel and culinary students of Institute for Tourism Studies, Macao. IFT encourages Macao’s future hoteliers to put theories into practice and supports their endeavors to serve guests at international standards. Leave Macau by 10 AM. Catch Cotaijet Ferry directly to Air Port at 11.55 AM. The return flight is at 6 PM. There is a shop in terminal 2 of HKIA that sells good and authentic tea sets. No need to go into town for that. Only London’s Heathrow and Paris’ Charles de Gaulle are busier than this airport, which saw almost 51 million passengers in 2010. HKIA opened in 1998, and Terminal 2 was inaugurated in 2007. Shaped like a “Y,” this two-runway space on Lantau Island is near the Pearl River Delta region. A mini-amusement park for flight enthusiasts, this museum’s interactive rides includes a plane-cabin ride simulator. Passengers who’ve had their fill of air motion can opt for the free historical exhibit of aircraft models, or visit the panoramic rooftop SkyDeck for views over the artificial island of Chek Lap Kok (where the airport is located). The legend of Bruce Lee's life is intertwined with his confidence, charisma and a personal background that combined the East and West. More than 70 invaluable items of memorabilia selected from the Bruce Lee: Kung Fu‧Art‧Life exhibition currently on display at Hong Kong Heritage Museum are presented at HKIA to showcase to tourists and the public Bruce Lee's achievements and his contribution to film, king fu and popular culture. Featuring images, audio-visual programmers and a photo corner, the exhibition explores the legendary icon from a fascinating new angle. Hong Kong's written official languages are Chinese and English, and the spoken official languages are Cantonese and English. The local language is Cantonese. The Hong Kong variant is basically the same as in Guangzhou on the mainland but tends to incorporate some English words and slang, which frequently sounds strange to other Cantonese speakers. (Like "我唔sure得唔得", means "I am not sure if it's okay") Cantonese is the lingua franca in many overseas Chinese communities and Guangdong and Guangxi province. Like all Chinese languages, Cantonese is a tonal language and definitely not easy for foreigners to master, but locals always really appreciate any effort by visitors to speak it, so learning a few simple greetings will get you acquainted with locals much more easily and will ensure friendly encounters and lots of additional help in shops, convenience stores and supermarkets. Whilst the Cantonese are somewhat reserved toward Westerners, they do become considerably warmer, when they realize you're making the effort to speak to them in their language. 廁所喺邊度呀？ chisó hái bīndouh a?洗手間喺邊度呀？ sáisáugāan hái bīndouh a?